BlackTravels.com Blog: 1st Independent Festival Of Black-American Jazz Musicians In Paris. 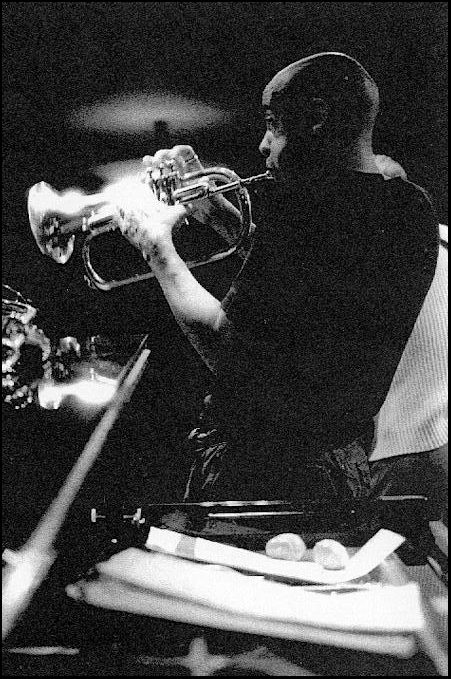 1st Independent Festival Of Black-American Jazz Musicians In Paris. Last week I received an e-mail from Mra Oma who was kind enough to pass on this information about this. I love the flyer which features the 369th infantry hell fighters, Jim Europe's Jazz Band in French Uniforms, taken in Brest France in 1917. The festival will present an International series of concerts by Black-American Jazz Musicians(both men & women)in Paris, who pay hommage with their music to the contributions of Jazz Musicians in France from past to present. 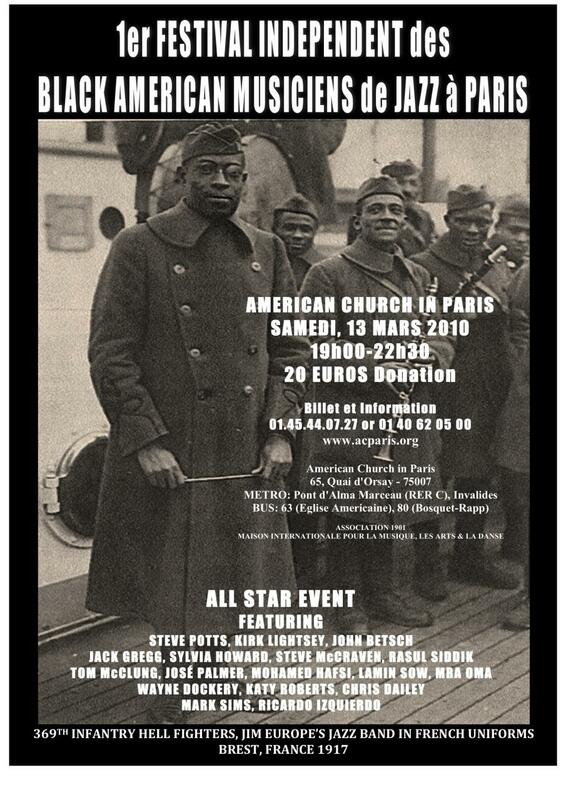 This event will be presented by Black-American Jazz Musicians in Paris, with the Association (1901) Maison Internationale pour la Musique, les Art & la Danse, also participating with the BAJMP are, all Americans, French & International Jazz Musicians that are local Parisiens & from the Ile-de-France communities. Date: Saturday March 13th, 2010.